Sourdough just continues to amaze me. It rises on its own, to the point of bursting out of the pan. This bread is giant! 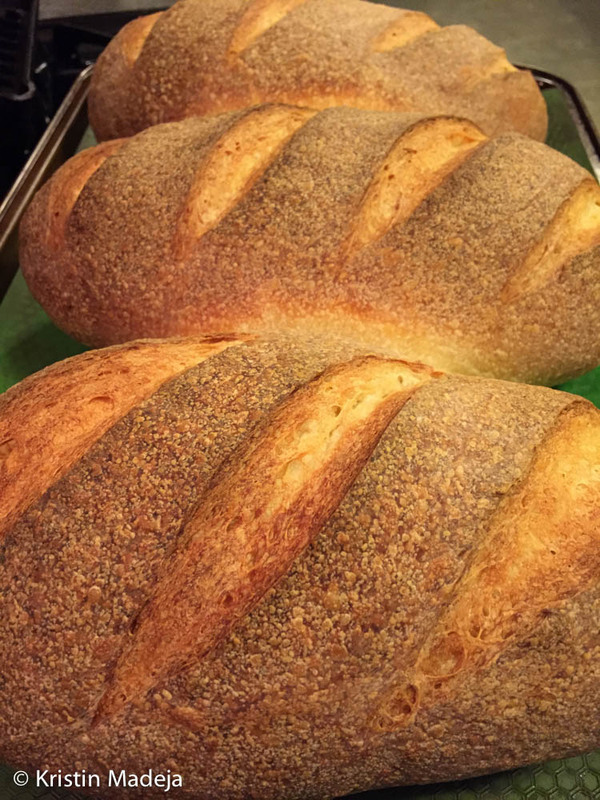 A lovely mix of fresh ground wheat and rye, the loaf rose to be around 13″ in diameter! Tasty too! 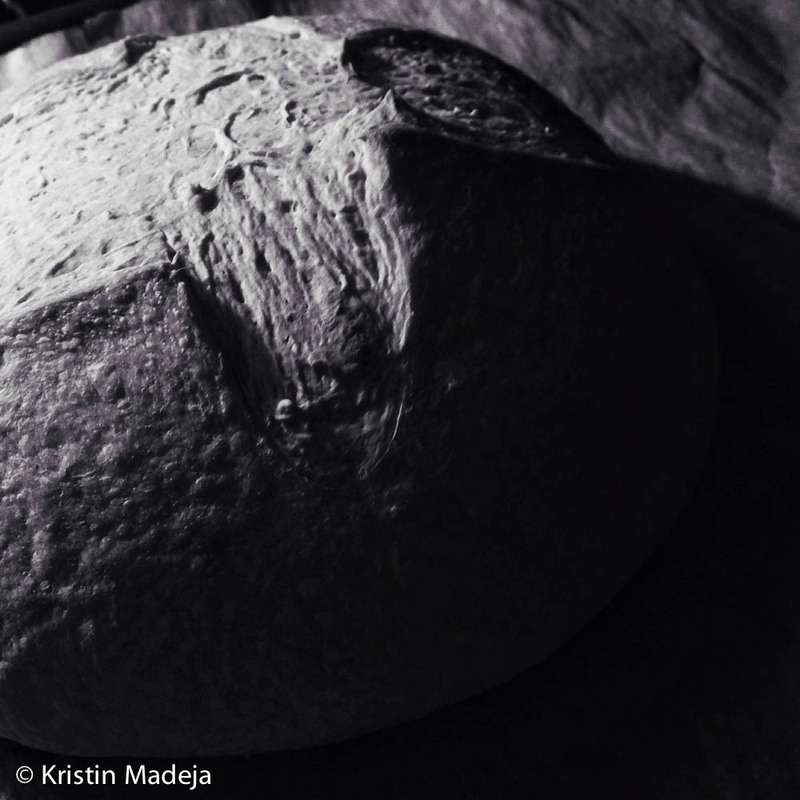 Summer days make for fast bread rises. This one doubled in 30 minutes! I have finally found a recipe that works. How could I neglect America’s Test Kitchen? Here is the recipe. 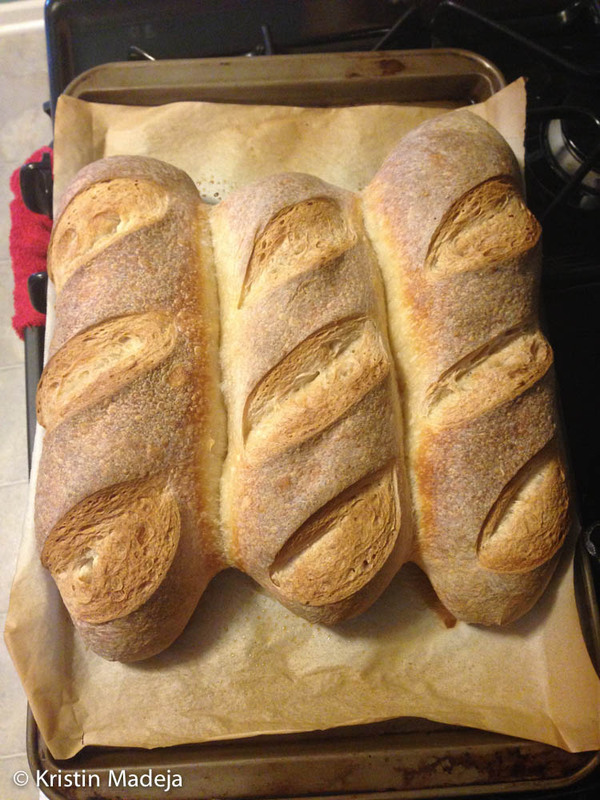 I was skeptical about this sourdough recipe, but WOW. It was AMAZING! I did all white flour. 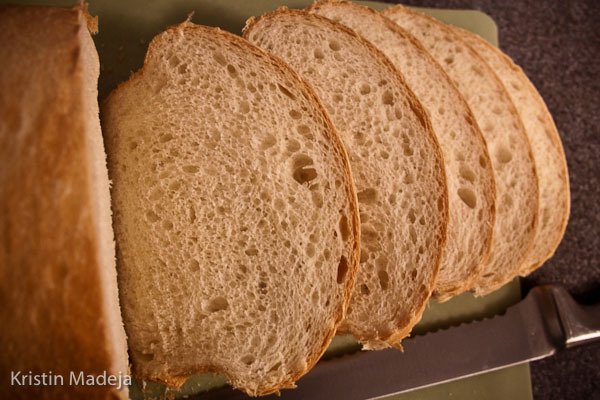 Next time I will incorporate more whole wheat. 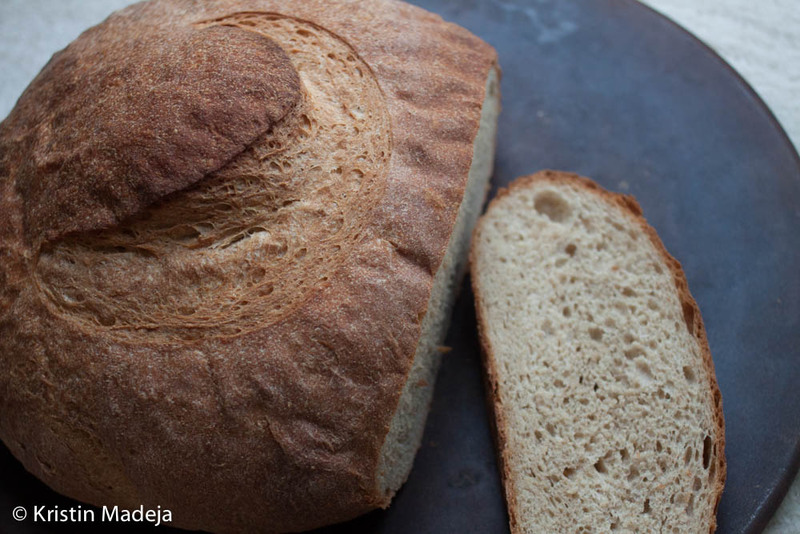 It is basically a no knead bread. 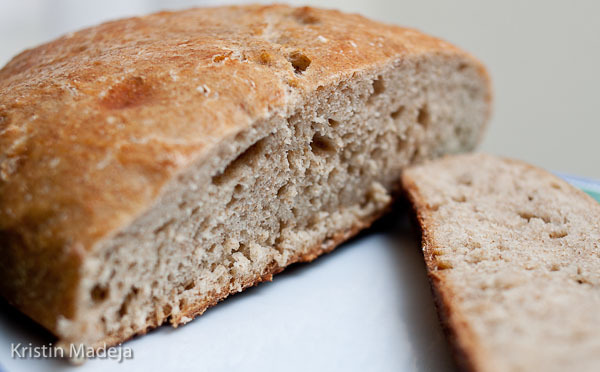 The bread was chewy and had a nice sourdough flavor. I think we ate almost 3/4 of this giant loaf in one day. 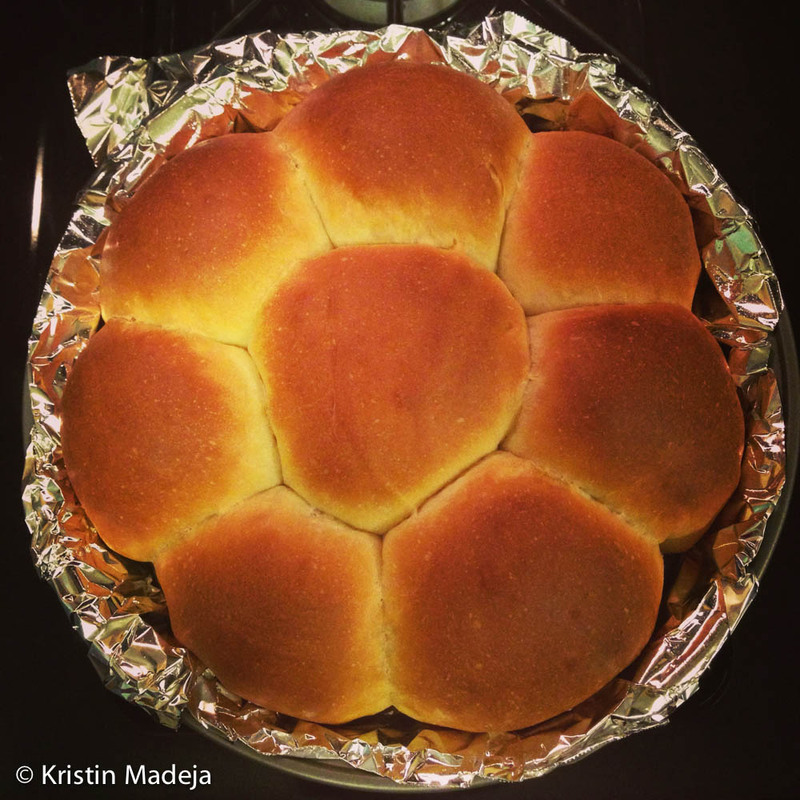 These rolls are carb heaven! I made half for valentines day and froze the other half, only to pull then out again the next day when we had our friend Sarah over for dinner. So worth it! I’ve been reading more about eating healthy, the way people used to eat before food was processed. 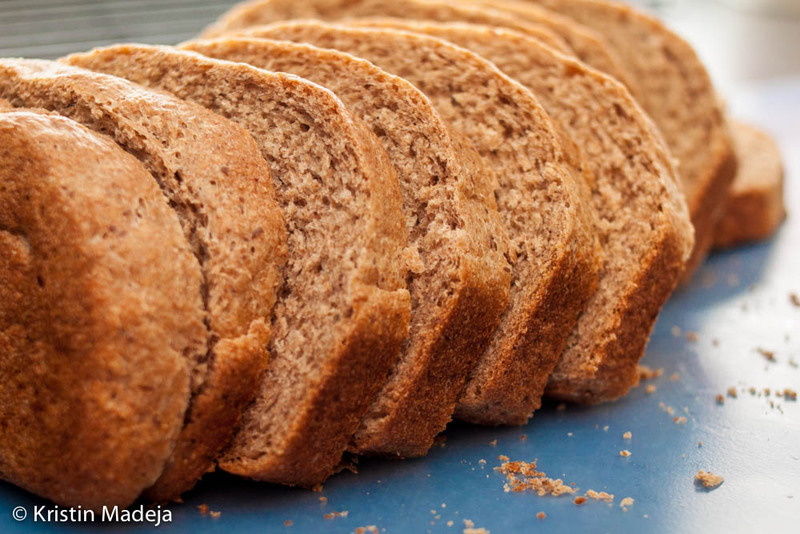 So I tried soaking the wheat flour before making this loaf of bread. 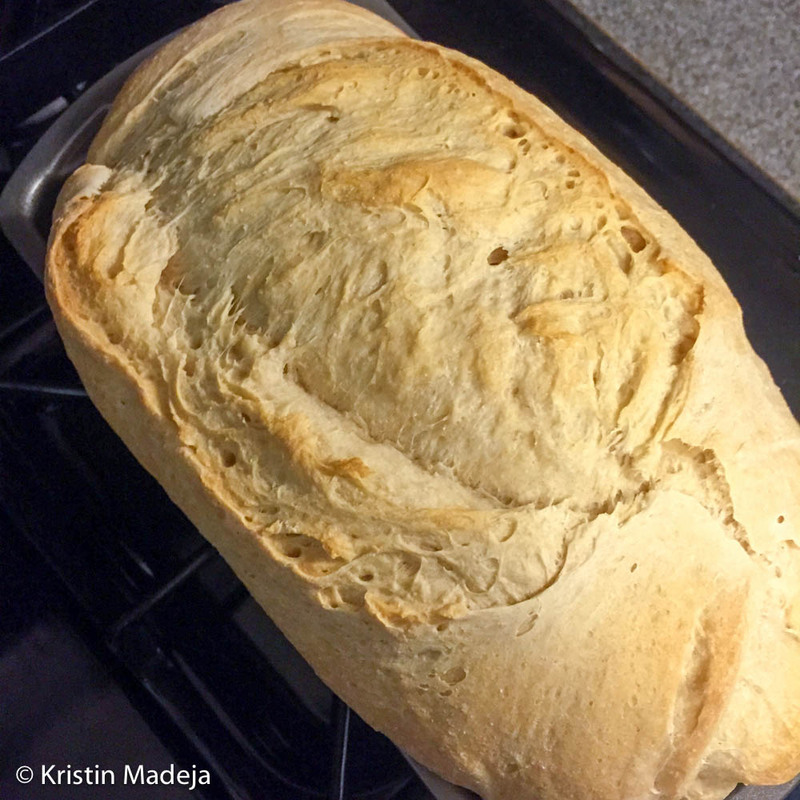 The process was super easy and the bread ended up having a wonderful texture. 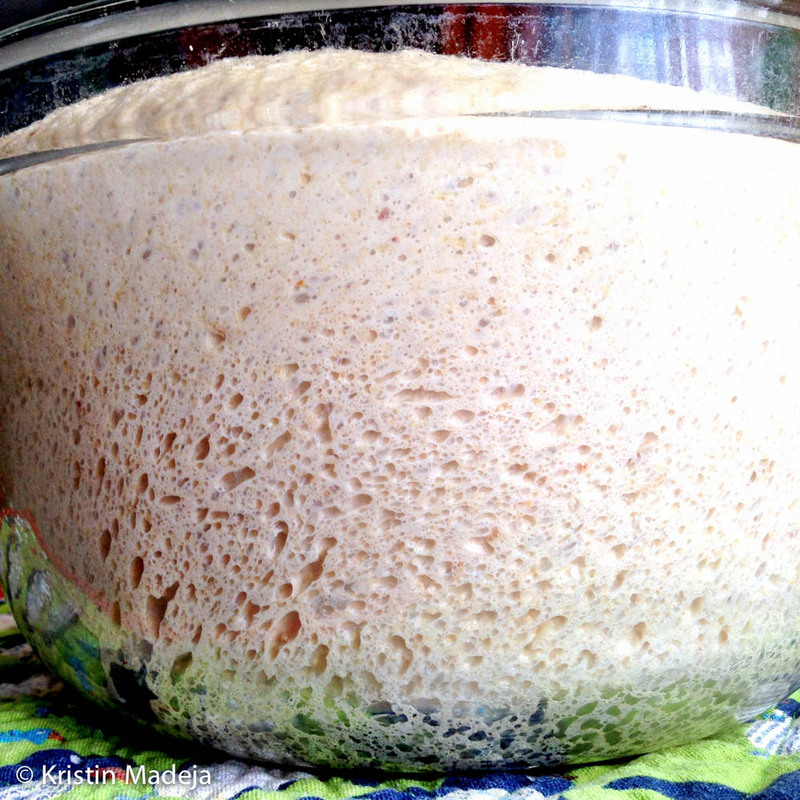 Soaking the flour helps make the grain more nutritious by removing the phytic acid. Here is the recipe I used. With snowpocalypse hitting the Midwest this week, we didn’t make it to work for a couple of days. We worked at home and hoped that our power wouldn’t go off as the wind raced around our ice covered home. 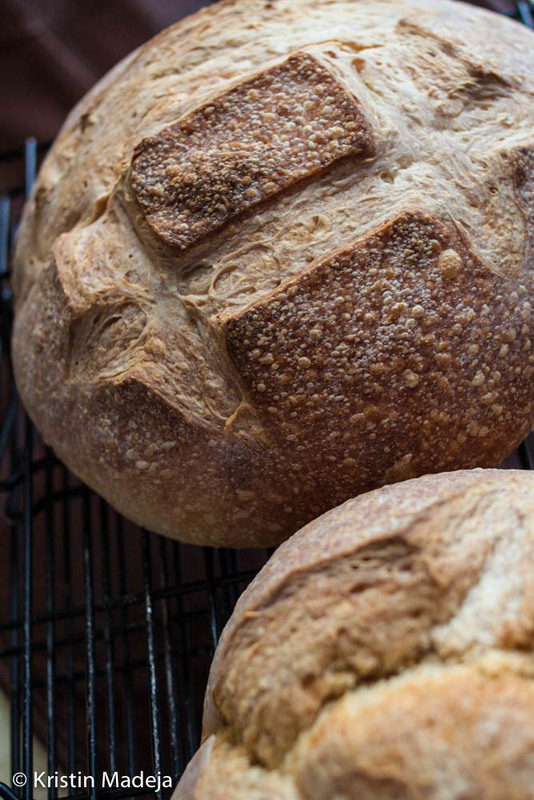 Making bread is a great break time activity. Sooo good! 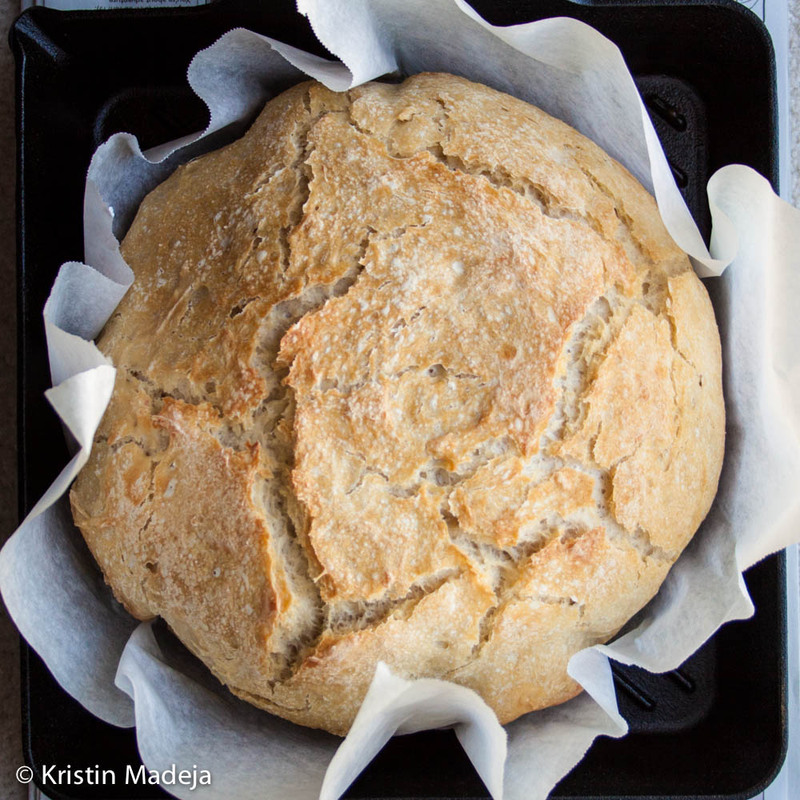 I found a great recipe for almost no-knead bread courtesy of Cook’s Illustrated Magazine. I made it with whole wheat flour this time, and it is sooo good!